Rafael is a Lead Developer at Budapest-based Emarsys and a frequent speaker at conferences around Europe. As a founding member of Emarsys CraftLab – the dedicated coaching team of Emarsys – he has taught university courses, talked at numerous conferences and visited multiple companies as an external consultant. 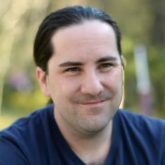 His passion for short feedback loops drove him to create Lean Poker (http://leanpoker.org), a workshop where developers have the opportunity to experiment with continuous delivery in an safe environment. He is also the creator and host of the Morning Commute YouTube channel inspiring the next generation of developers to broaden their knowledge. Our goal as software developers is to sustainably deliver value for our organizations. Conferences are a great opportunity to learn about the challenges other teams faced (challenges you might also be facing right now) and how those challenges can be solved. However, putting even the best of advice’s into practice is hard. To help developers and product people adopt better workflows for delivering we have created a workshop where teams can compete against each other and learn things in practice along the way. In this talk I will show you how we did that, and what are the most frequent learning points for participants.